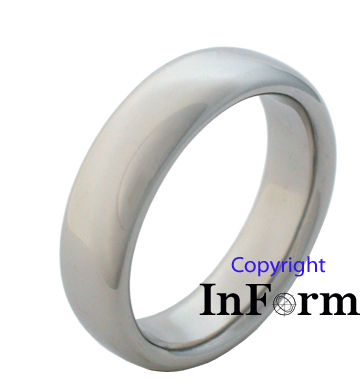 What can be seen below is a platinum wedding band made in the comfort fit style. 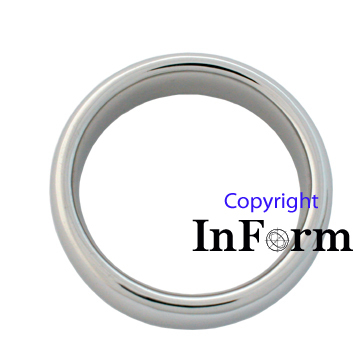 It has a width of 6.5mm, although a ring of this type could easily be made narrower or wider. ***Please note that this or a similar ring could be made of white or yellow gold instead. This is about as simple and comfortable ring as can be found. For some people this may be an option to consider.